Many letter-writers have recently joined Tiffany Jenkins in objecting to the now-enacted “named person” law (Perspective, 4 July). But the time to do that was in July 2012 when it was first proposed. I objected then in your columns but recall no follow-up letters or article, and total silence from MSPs. are relaxed about celibate males determining the rights and wrongs of marital and sexual behaviour. I seem to remember that some time ago Douglas Turner mentioned in a letter that he had been professionally involved in child care. If so, he obviously knows more about the subject than most. 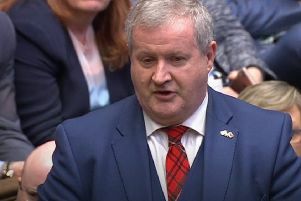 However, he is quite wrong to say that the named person will not have the power to intercede in family life if the family do not wish it; he may be quite right that the Scottish Government has said this but they are becoming renowned for saying one thing and doing another. In the Question and Answer section explaining the legislation it clearly states that “where a well-being concern is raised with the Named Person he/she will discuss this with the child and parents”. A well-being concern can of course be raised by anyone and in many cases will be a matter of opinion. Interestingly enough, one of the well-being concerns covers lack of attainment at school. Given the poor performance in primary literacy the named person, who could well be the teacher, might be better employed. I would have thought that when education standards are not improving, the NHS is creaking at the seams and social work departments can’t cope with their current workloads that resources should be concentrated on those in need and not universally. I’m not sure what the financial implications are – do named persons receive an extra payment? I presume they have already received police clearance for the work they already do. The named guardian scheme is an example of the socialist need for layers of bureaucracy, all reporting to each other in pursuit of micro-management of the individual. How would this scheme interface with social work departments, for example. Most likely via the soon-to-be-created “Ministry for the Harmonisation of Social Work and Guardianship Schemes”.